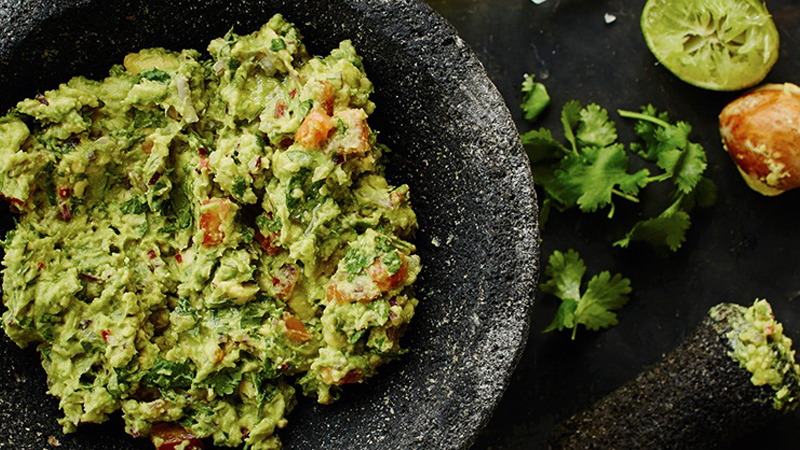 What’s a Mexican meal without guacamole? Versatile, delicious and guaranteed to enhance any meal, this Mexican classic makes the perfect topping, or as a dip with corn chips. Cut avocados in half and remove the stones. Scoop the flesh into a bowl. Mash with a fork, add red onion, chili, coriander, tomatoes and mix until well combined. Add lime juice and olive oil, then season to taste with salt and pepper. Add extra lime juice if you love a bit more tang.